‍‍‍Our indoor courts offer a supreme playing environment all year round. We have 2 indoor courts, each with a fully cushioned acrylic surface. 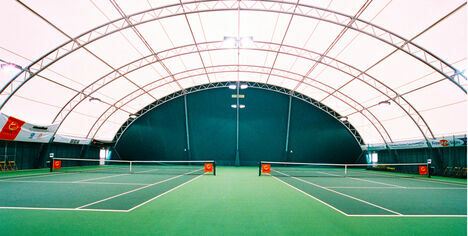 During the summer months the sides of the tennis centre open, providing perfect ventilation as well as shade. In the summer the courts are typically 8-10ºcooler than outside! Our facility is pay and play so no membership is needed, simply call and book. Courts can be booked 3 days in advance or weekly for a regular playing experience. Appeti Tennis have 1 outdoor singles court alongside the indoor court. The court is excellent for recreational or competive tennis and is also marked for mini tennis orange. The court is also adjacent to our clubhouse where you can relax, have a drink and watch matches! 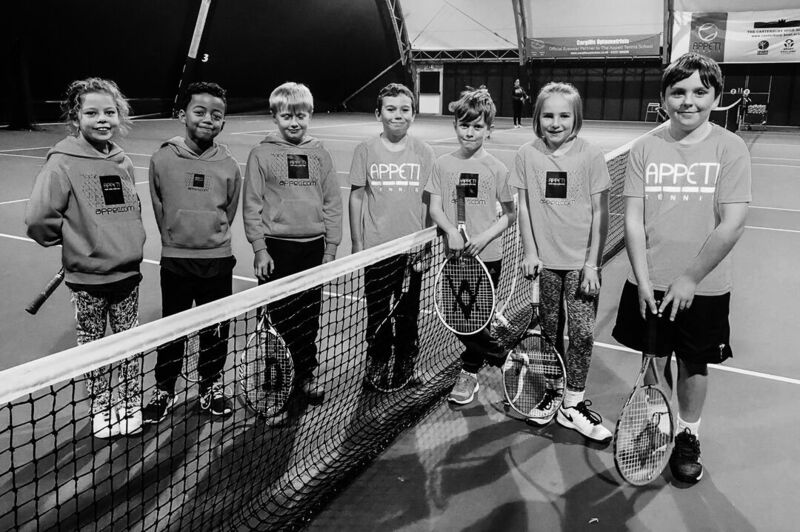 In addition to the main indoor tennis centre, the Canterbury Academy hosts 4 outdoor tennis courts, consisting of both macadam and artificial grass courts and are available on a pay and play basis throughout the year. No membership is required and some of the courts are avaialable FREE OF CHARGE on the weekends. The Canterbury Academy also boasts 2 artificial courts, the courts are operated by Lifestyle Fitness and are located directly behind the sports centre. Built in 2013, the courts can be booked by the hour and have floodlights allowing play until 10pm. Use of the courts is included for members of the gym. Lifestyle Fitness also offer 2 premium macadam courts, refurbushed in 2011, the courts are directly adjacent to the main campus in the Victoria Recreation Ground. The courts are floodlit and can be booked until 10pm daily. Use of these courts is included for members of the gym. The courts are available FREE to local residents Saturday 9am - 12pm and Sunday 9am - 2pm. To book outdoor courts contact Lifestyle Fitness on 01227 766 352 or click here‍‍‍. The Canterbury Campus has the largest urban beach area in the UK. 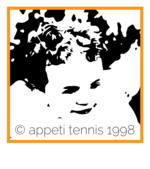 Appeti Tennis, in association with Lifestyle Fitness, offer Pay and Play Beach Tennis sessions. This fast growing dynamic sport is great for both those that play and don't play lawn tennis.